"Not easy to set up and design forms"
It was easy to implement the tool using Wordpress since it had a plugin. I was able to get it up and running in a day. They offer a lot of display options so you can do some really targeted pop-up ads. It is really difficult to set up the form especially if you're using the Hubspot plugin. If you use their forms then the design is all set and looks great, but then you have to manually add the contacts into your CRM system. If you use the Hubspot forms then it automatically adds the contacts into the CRM system, but it's hard to design them so they match the template. I had a hard time figuring out how to preview the pop-up ad before going live. I also thought it was hard to understand the analytics on the yes /no pop-up ads. I really don't know if it helped abandonment on the page or not. The tool definitely has a learning curve to it. You need to have time to actually figure out how to use it in order to be successful. Once you set up a pop-up ad then the next one will take you less time. Trying to increase conversions on the contact us form as well as throughout the website. It is challenging to understand the analytics provided since they are so limited. So I don't really know whether or not we are getting an ROI from the tool. I love using this software. It requires very little or no coding to set up a lead generating pop up on one of our client's sites. I'm not even a designer but it's pretty simple to make an attractive campaign that converts visitors. Reporting could be better. There's only visitors and conversions with 1 graph over time and a conversion rate. Default always shows last 30 days, and takes a few extra clicks to see a certain time frame. Lead generation. While conversion rates vary, and some say pop-ups don't work, these can help make a difference for a client. Either they generate leads or they can be used to draw people to the pages on a website you want them to go to. "Great Customer Service, Great Product"
I love using OptinMonster to acquire email addresses. The tool is easy to use and works. I have a Wordpress based website and Optin Monster makes it easy to get their service up and running on that platform. One of the best parts is you can go from signing up to having the program running in a matter of almost minutes. It doesn't take very long. There's not a lot to dislike, honestly. I have had a great experience with this product. It has helped me dramatically grow my email list, not only in the number of names but in the quality of names I receive. I would highly recommend it. I needed an easy-to-use email opt-in solution so that I could acquire email addresses on my website. I am not a developer so I needed a solution that was WYSIWYG and intuitive for someone who doesn't code. "Great software to use to generate leads"
OptinMonster allows visitors to make informed decisions based on their search on your website. They can be interested in something that you offer that may not necessarily be noticed their first visit. OptinMonster has allowed me to generate leads for my clients. It can slow down your website using another plugin from Wordpress but I feel that it is worth it since it allows potential leads to be streamlined into our sales funnel. OptinMonster allows businesses to solve problems with dropoffs without collecting the visitors information or turning that lead into a potential customer. "Super easy to setup and get quick results"
For those who just want to get going quickly and test ideas, there's a suite of templates you can use and quickly tweak to suit your brand. Out of the box I couldn't find a persistent tab option to display a really important offer. In saying that, they do have a top and bottom site bar that can continually display and there is a custom a code option, too. It's just that those two options wouldn't have worked for us since we had some UI impediments stopping us from trying the first and didn't have the developer resource to try the second. New customer acquisition. Since running the promotions to different site visitors we noticed an immediate lift in revenue. This plugin will offer out of the box integration along with the most popular email marketing services that would make the setup process so simple. On the last version, they added a new feature where you can add the same subscriber to your existing subscriber list and also to a drip campaign. For me, it is very useful. Another good thing is that i can use the same account for all my websites. It could be more templates. Also, more editing options will be good for a next upgrade. I think sometimes that I can not create the pop-ups to match my website style. Maybe in the future optinmonster staff will add some in house analytics. Right now if you want to add optinmonster to a website you need to add google analytics first and after that you will see how many impressions do yo have and how many clicks do you get on your pop-ups. In terms of ease of use, it easily outshines any other tool that we have ever tried. It is incredibly easy to use and works with all the popular email services, CMS, and eCommerce platforms. "Best opt-in software on the market today"
I like that they make it so easy to create email opt-ins. i can literally log into my OptinMonster account, select the templates I want, connect it to my email autoresponder/analytics and hit "publish" within five minutes. Their A/B split-testing features are also incredible - by testing over time, I've been able to massively improve my opt-in rate. I don't really have any complaints, but I must say that their MonsterLinks feature is kind of clunky and hard to understand if you don't know what you're doing. Just give it a try - they offer a free trial for a reason. They know that you'll love it and stick with them. I am collecting more email addresses than ever before. It allows both me and my clients to stay in touch with leads that would've otherwise left forever. "Fantastic Way to Drive Leads"
OptinMonster is an extremely powerful tool that is great for driving leads or increasing conversions. It is so versatile and offers many display tools to customize your user's experience. Also easily integrates into many popular CRM's. Honestly haven't found anything particularly bad about this software. We had some trouble at first getting my campaigns to show up, but once we got that all figured out, it was easy. A more technical onboarding could have solved that. I would definitely give it a shot. There is a WordPress plugin available that makes it super easy to get on your site. And it integrates easily with popular CRM platforms (this is what I did to automatically feed our email captures). 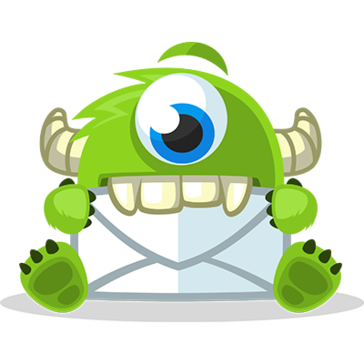 We are using OptinMonster on our blog to drive signups to our email list. We have also used the exit-intent functionality in the past on our cart to offer discounts to customers who are about to abandon their cart. Integrating to mailchimp easy as was analytics, and i do like the different options that are given for the when the popus display. Being a first time user of mailchimp, the customer service is quite non existent. I get 1 email in 24 hrs, where that won't ever be enough to get things done. Squarespace has there live chat down very well, and optinmonster could learn from this, considering how many people are with them. I am glad i signed up for the 1 month, not the 1 year, and i highly recommend this to see how it works for you. "Fun pop-up builder with a lot of customizability!" The settings are extremely extensive. Especially with the new campaign builder, there are a lot of easy, intuitive buttons for adjusting everything from padding, margins, and borders of almost every icon or area within your campaign. On top of that, if there's anything you can't figure out how to adjust, you can still write custom CSS to really tweak the pop-up exactly to you liking. Also, they have amazing customer support! Extremely responsive and helpful. For some reason, we've been struggling with getting our pop-up analytics tracked. It seems like they now require you to manually go into each pop-up and confirm your Google Analytics account, which is a bit annoying to do all the time. Additionally, integrations also have to be manually entered each time as well, so I've had to do that several times as well. It's helpful to have someone who understands HTML/CSS for tweaking pop-ups. Make sure your site audience would be receptive to these kinds of advertisements, or else I could see it getting very annoying for people to see them. Also make sure to turn off adblockers on your browser before trying to test the pop-ups, because I made that mistake! We are trying to grab our web viewers' attention more, and pop-ups are a great way to do that. We use them for sales to notify people that they're going on (countdown banners are useful for this) and we use them to just incentivize people to subscribe to lists or register for events. Overall, with the many settings offered by OptinMonster in terms of colors, display settings, and campaign types, we've figured out ways to make them look on brand without being too intrusive. "Very flexible and easy to setup"
Triggers/Rules are not very flexible. Being able to use simple AND/OR/NOT logic would greatly enhance Optinmonster. The present "Display Rules" is not very clear about whether a rule is AND or OR or XOR. Better rules system with good Regex or Logic would be a massive improvement. Softer and easier lead generation in areas that a full form would not suit. Timely pop ups for events. Very flexible on how we can use it. "Killer lead gen for a great price"
The power you get for the price you pay. OptinMonster offers a suite of lead gen tools that anyone can add to their website in seconds. Compared to what competitors offer in terms of lead gen tools, OptinMonster really can't be beat for price and features. Plus it is dead simple to install and use. Some things are tricky to pull off but there's a lot of helpful documentation. Lead gen is the backbone of any successful B2B business. The more you can engage with website visitors the more chance they'll convert. OptinMonster helps with a variety of ways to intercept visitors and convert them. "Slick Pop-Up & Lead Capture Tool for Your Website"
What's best is they provide a bunch of templates (and a code base) to work off of. You don't need a web developer and designer to start using OptinMonster. It's a great tool for capturing blog subscribers and sending out alerts for news/events/product releases. As you want to use OptinMonster for more advanced tactics, it requires a web developer to make sure everything is tracked appropriately. We did have some trouble with cross-domain tracking. There's a lot of other tools that can easily do what OptinMonster does, plus more. Like chat widgets, such as Drift. lead capture for blog subscribers and content downloads. It's a great tool for mentioning events and contests as well. "A great tool to build your email list"
OptinMonster is easy to install and set up. They also offer a host of customizable themes to help your optin boxes stand out. Some of the controls could be easier to use. There are a lot of options to choose from for adding optin boxes to your blog or website. OptinMonster is a fantastic product with even better support. Building your email list on your blog or website. Great flexibility to create different types of optin pop-ups. Monsterlinks can be a bit difficult to configure into a WordPress menu item. I use OptinMonster on client sites to engage site visitors. Often clients use Optins to sign visitors up to their newsletter or capture their name before they download an item. "Super easy to use lead generation tool "
I have no dev experience and setting it up is incredibly simple. I wish there was more customizable ways to edit form fields. There is an option to custom code in form fields however some more built in ones in the platform would be appreciated. If you are needing more information from lead magnets like company fields, website fields, ages, etc., it helps to have some coding experience or a dev on site who can help you. Same with designs for the optin images. This has helped us grow leads for several of our clients immensely. "Easy to Use, Good Lead Gen"
The best thing about OIM is how easy it is to create split tests and see the results. There are a lot of options at a really good price and it's been driving a decent amount of leads for us. If only one person becomes a customer from this, it pays for itself. There is no way to export data from the interface. The only reporting is in their UI. There is a part of our website that has historically not resulted in any leads/customers. It's the largest traffic source for the site, however, so we're using OIM to leverage that traffic. "Easy to use and beautiful templates"
The interface is very user friendly and you can create your first campaign in a matter of minutes! The form fields have a limit to how they integrate with Marketo. Lead Generation. We are able to generate leads without having to lift a finger other than the set up of a campaign. "Easy to understand Opt-in forms"
Great API with SharpSpring for easy setup of optin form tracking. doesn't always work properly and doesn't tell you why it doesn't work. Make sure it interfaces with your other marketing automation software. Lead capturing and automation of lead management. "Good tool, but not very flexible for "
This is a great tool to collect email addresses that doesn't really extend much beyond that. It is practically impossible to disable the ability to collect email addresses. I am trying to increase conversion by collecting email addresses. "Easy To Keep Communication Lines Open With Slack"
Honestly...nothing. It suits my needs just fine. "Building Our Lists with OptinMonster"
Easy User Experience in building optins. Sometimes have a hard time getting them to display as I intend. Building our lists. Grown over 20k in last 6 months. "The most cost-effective solution for popups"
Optinmonster is the best solution for the money. Setup popups very easily and get results instantly. The reporting is somewhat unorganized, and the templates can become difficult to customize if you're not great with css or js. Launch popups and a/b testing on multiple pages easily. "Used Optin Monster but not a fan"
Make sure you have a database to log form info and a way to implement the forms. * We monitor all OptinMonster reviews to prevent fraudulent reviews and keep review quality high. We do not post reviews by company employees or direct competitors. Validated reviews require the user to submit a screenshot of the product containing their user ID, in order to verify a user is an actual user of the product. Hi there! Are you looking to implement a solution like OptinMonster?